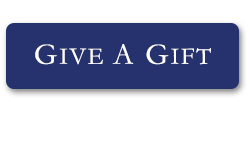 There are many ways to give to Nashville Christian School! You can make your donation or pledge online using our secure Online Giving form. You can designate your gift to a specific department, fund, or to our area of greatest need. You can also dedicate your gift in honor or memory of another. Many friends of Nashville Christian School find it very meaningful to make a donation in honor of a loved one on special occasions, and/or to honor the memory of loved ones who have passed away. You can set up a recurring gift, paid in weekly, monthly, quarterly or annual installments, through our Online Giving form. Through recurring gifts you will to provide consistent support to Nashville Christian School. Contributing manageable increments over the course of the year allows you to maximize the impact of your gift while avoiding a large, one-time sum. Many employers will help you double the amount of your contribution by matching your donation! Please check with your employer to see if they match the value of charitable gifts made by employees. A planned gift to Nashville Christian School may include remembering NCS in your estate plans, transferring stock, or giving a gift of real estate. By naming Nashville Christian School as a beneficiary of your will or living trust, retirement plan (IRA, 403(b), 401(k), etc. ), or life insurance policy, you pay nothing out of pocket today, yet support our mission and strength in the future. This is a mutually beneficial arrangement that provides a variety of benefits, including capital gains tax savings, and income tax deductibility. There are many businesses that partner with Nashville Christian School such as Amazon, Publix, Kroger, etc. To learn more about other ways to give, click here.